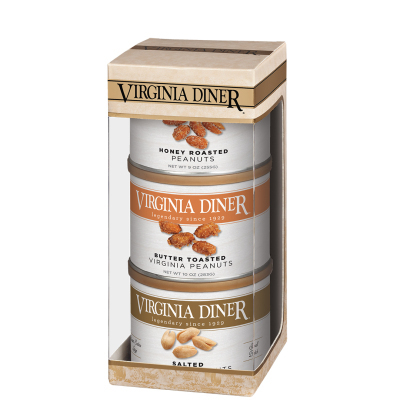 A trio of our finest Salted Virginia Peanuts, selected from the top two percent of the peanut crop, (10 oz. ), Butter Toasted Peanuts (10 oz.) 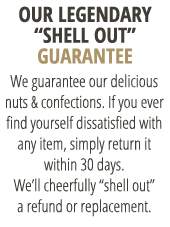 and Honey Roasted Peanuts (9 oz.) in stay-fresh tins. The perfect gift for peanut lovers of all ages. Comes in elegant gold gift box. My dad love the nuts he got for Father's Day. Love this for Christmas gifts!